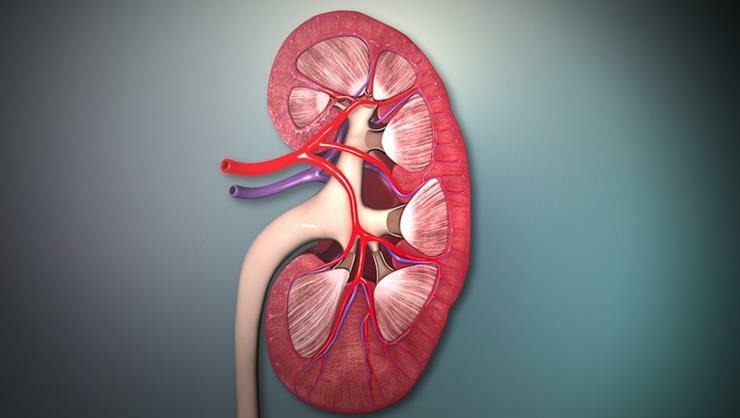 In our body, most people have two functioning kidneys – one on each side of the body. They are there to filter through our blood to take out the bits we don’t need, or are toxic to us, and get rid of them. 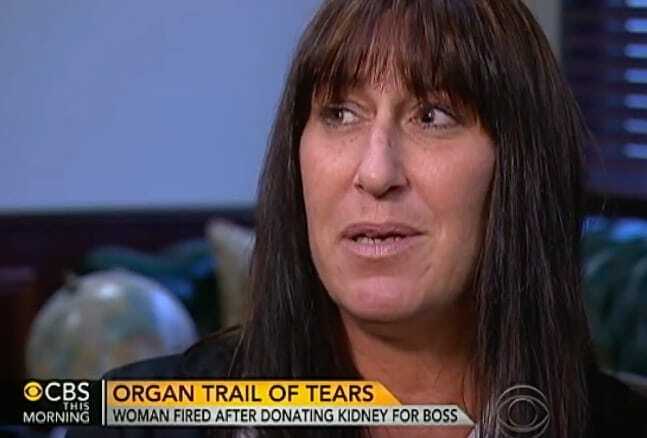 In 2010, one woman learned of a friend that had discovered her kidneys were failing. It was at this moment she wanted to step up to the plate and offer her kidney for harvest, but from that day on everything changed. In our lives, it is good practice to try and make people’s lives better. Whether it be donating your time to a local cause, helping someone at the grocery store, or handing in a lost item, there are plenty of ways to make the world a little bit better. Debbie was a woman that set out to help improve someone’s life, but things didn’t go to plan after her generous offer of aid. Everything took a turn that no one could’ve seen coming. 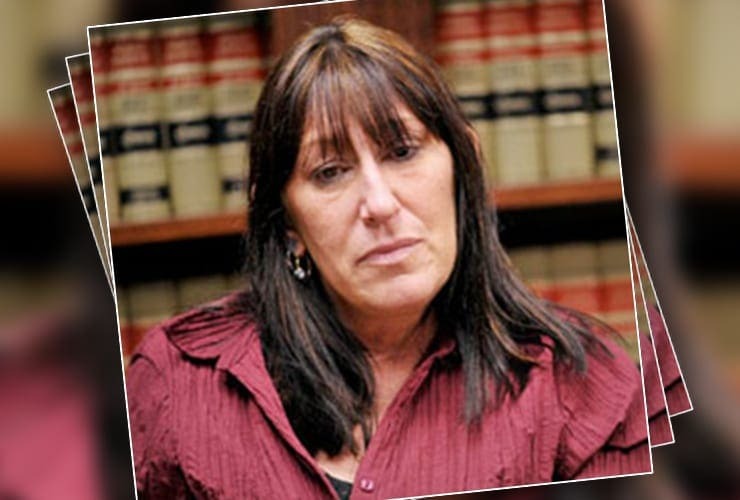 In Long Island lived a woman just like any other, Debbie Stevens. A woman with a huge heart and lots of love to give, she spent her time looking after her two children as a divorced parent. Debbie had managed to build a career working at the local car dealership, the Atlantic Automotive Group, but realized that she needed a change. It was one hot summer during 2010 that Debbie decided to pack her bags, quit her job, and head to The Sunshine State. After she made the 1,000 mile trip, Debbie wanted to visit her daughter who had stayed back in Long Island. She waited a few months and booked her return for the fall, but just couldn’t resist checking back with all her former work friends to see how everyone was getting on. Debbie couldn’t believe what she was hearing. Jackie did have some good news though – she had been given the offer of a transplant from a friend. However, she wasn’t sure that they would be able to go through with the operation and was worried she would end up waiting years. Debbie couldn’t take it, so she offered a kidney of her own if anything was to happen to Jackie’s friend. While Jackie thought her former employee was joking, she commented on how one day she just may need to accept the gesture. Sadly, life in Florida wasn’t all Debbie thought it would be. After a few months had passed, she made the decision to return to her hometown. Debbie only had to wait a few weeks before she had her answer. Her old boss, Jackie, was more than happy to rehire her employee, but this time Debbie would be a clerical worker. Everything was going according to plan when Debbie found herself in her boss’s office at the beginning of 2011. Had she done something wrong? Well, no. 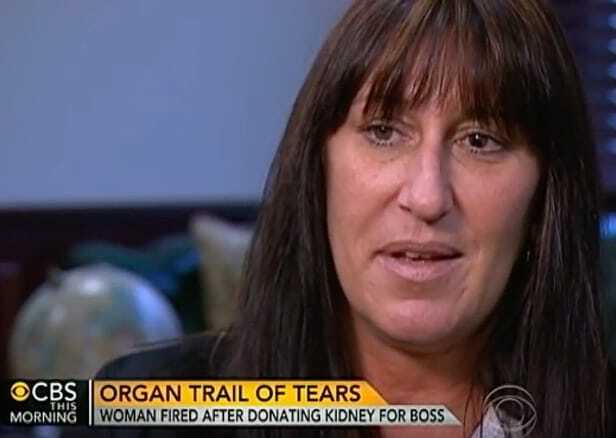 In fact, Jackie wanted to ask Debbie a very serious question: had she meant it when she offered a kidney? Debbie was selfless, and defended her offer; she wanted to do anything to help. Jackie had some devastating news from her previous donor; they discovered that the donor wasn’t a match. Both Debbie and Jackie were on the edge of their seat to find out whether the two themselves would be a match. Tragically the pair weren’t a match. Debbie couldn’t believe she wasn’t able to help her friend but still wanted to change someone’s life. There was a network set up within the hospitals to find matches for patients waiting for donations elsewhere in the country, and there was someone that matched Debbie living in Missouri. Debbie was still able to do something amazing, even if it was for a stranger, but her gesture didn’t end there. Debbie’s actions meant that Jackie climbed the donor list where she quickly found a match of her own. Thankfully Jackie’s surgery went as smoothly as it could for an organ transplant. Debbie’s surgery, however, ran into some problems along the way. The surgeons that were in the operation had accidentally hit one of Debbie’s nerves which caused some significant issues. Not only was Debbie left struggling with digestive complications, but she also was left in excruciating pain. This meant that both Debbie and Jackie were forced to stay at home for weeks while they recovered from it all. You would like to think that if you saved someone’s life, they might have just a little bit of gratitude, right? Sadly, this wasn’t the case for Debbie. While she was home recovering from life-altering surgery, she had Jackie on the phone questioning where she was. In fact, her boss was actually calling to berate Debbie on how long it was taking her to recover from surgery – not the kind of thank you that Debbie thought she might receive. 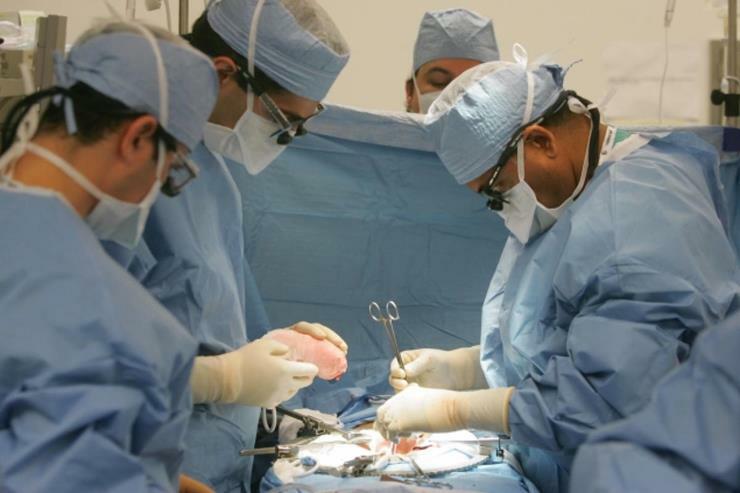 It’s not just the procedure of removing the organ in these surgeries. 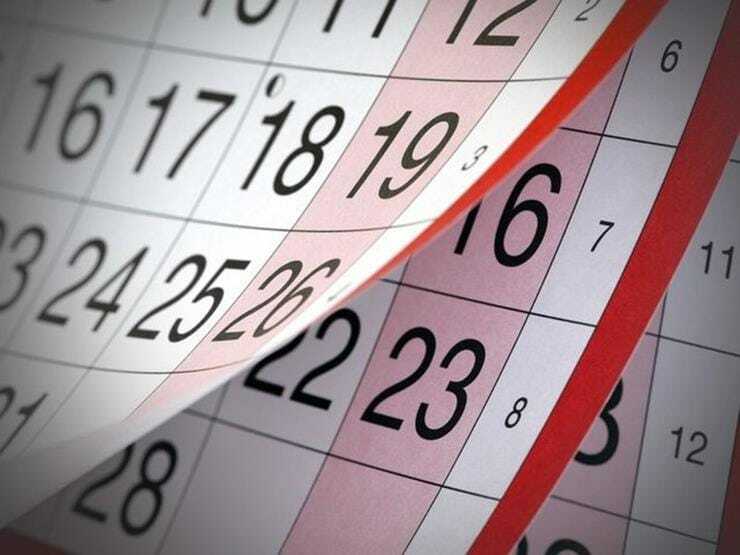 Experts have recommended that people should have at least a couple of months off if they have undergone a kidney transplant surgery to recuperate. 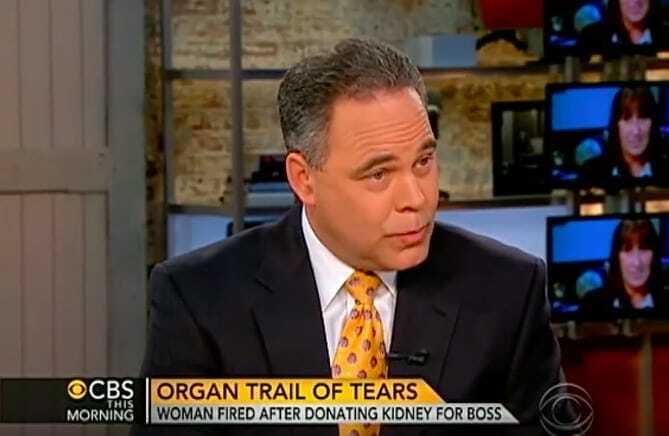 One would think that after giving up a part of your body to save your boss’s life, the least that your boss could do would be to thank you in person (we would personally expect a banquet held in our honor). 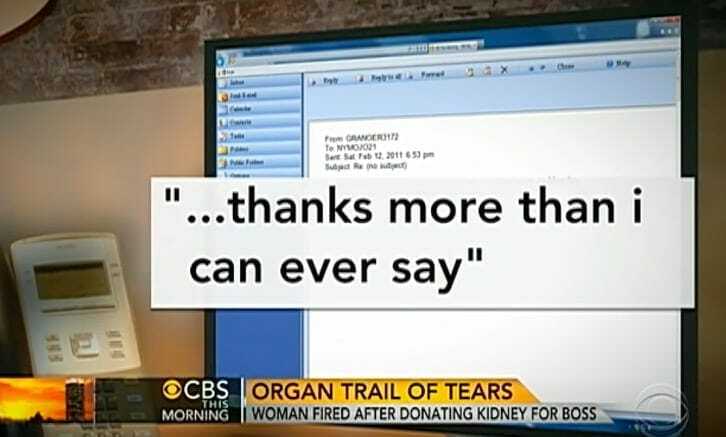 However, the only thing that Debbie got from her boss Jackie was an email sent from a work account saying “… thanks more than I can ever say.” Jackie never even walked up to her to thank her to her face. It was after only a few days back at work that Debbie was forced to go home sick. Returning to work as quickly as she did meant that her body had been put under a lot of unnecessary pressure. The pain and tiredness were too much for her to handle, but at home, she was no safer from office politics than if she had stayed at work. While Jackie was in the comfort of her own home, feet up and relaxing, she decided to phone Debbie. She wanted to scold Debbie for giving the impression she was treated differently to other members of staff with all this sick time. Jackie apparently did not want to make the issue a big deal. No matter that she got a new kidney and was able to live a normal, healthy, and happy life. However, when Debbie needed to go home after not feeling good following the surgery, Jackie felt the need to call Debbie and yell at her about not being a responsible employee. Jackie told her that just because she donated a kidney, she did not all of a sudden get special treatment. It turns out that the doctors accidentally nicked a nerve during the surgery to remove Debbie’s kidney, causing enormous pain and even queasyness. When Debbie told this to Jackie, Jackie seemingly did not care. The ill-treatment, sadly, didn’t end there. Jackie continually called Debbie and would scream at her while she was working in front of everyone else in the office. 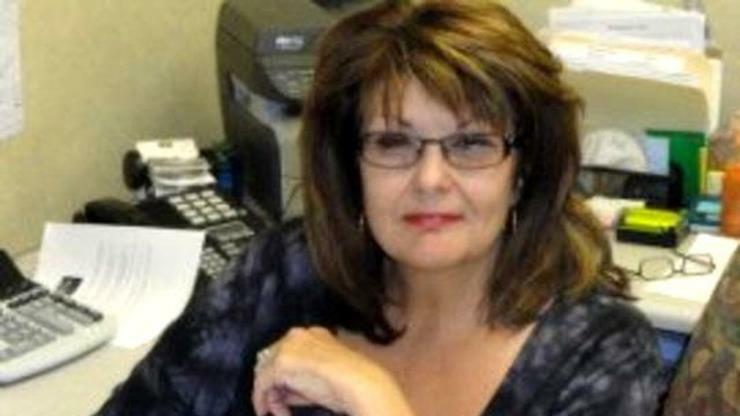 Debbie reported how she felt as though she was chained to her desk; her overbearing boss would accuse her of doing things that never happened, and Debbie was forced to stay sat at her desk all day until the work was done. She felt that her life was now revolving around her job, and no matter what Debbie did she just couldn’t escape Jackie. It seemed as though after the two had their surgeries, Jackie began to show her true colors to the world. 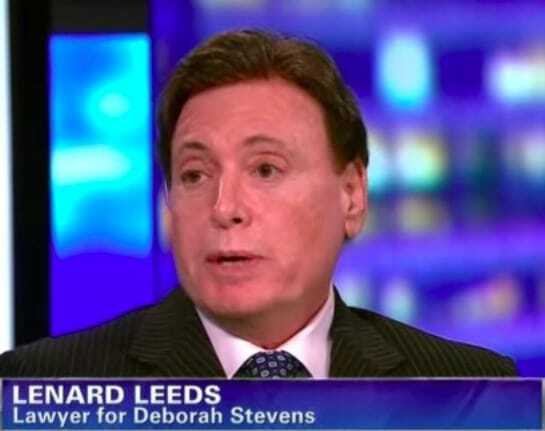 Debbie spoke of how the two had always had a close relationship before any of this happened, but something changed the day they went under the knife. Nothing would stop Jackie. 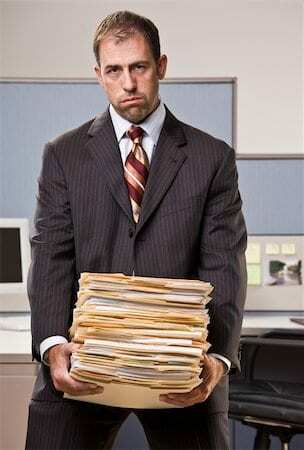 Things took a turn for the worse when Debbie had her office taken away along with any overtime privileges. This wasn’t the end of it all either as she was transferred to a neighborhood the locals nicknamed ‘Siberia’. The area was full of crime, and meant Debbie was forced to travel over 50 miles each way to commute to work. Everything was becoming too much for the once so caring Debbie. In trying to save her “friend’s” life she had ruined her own. 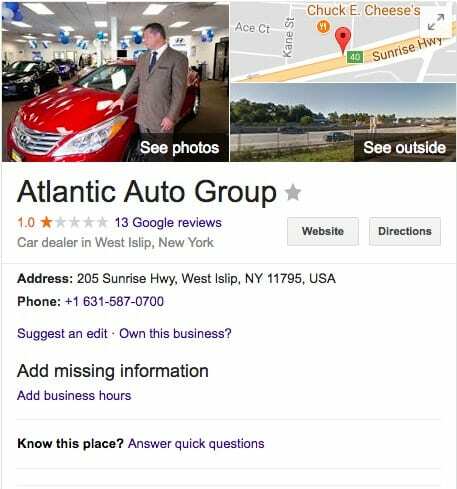 The Atlantic Automotive Group is a company which owns a string of car dealerships around the East Coast of the United States, primarily in Long Island, New York. They are the eighth largest auto dealership company in the United States. They have all manner of vehicle brands at their shops, including Audi, Infiniti, Honda, Hyundai, Dodge, Jeep, Ram, and many others. As of this writing, the company has a one star rating on Google reviews and a two star rating on yelp. Going through the stress at work that Debbie was forced to endure would be enough to push anyone to breaking point, let alone having it coupled with her health complications – all from a surgery that she didn’t even need to go through. The recovery time for giving up one of your kidneys is not very short. In fact, it may take between one to two months before you can return to work, and even then, you need to have easy access to the bathroom due to your body getting used to operating on one kidney. It appears that Debbie tried to get back to work as soon as she could even at risk to her health. But the loyalty that she showed the company was clearly not repaid. Another aspect of having this surgery is the fact that you should not lift objects heavier than 10 pounds during the recovery process. You may put stress on your body which may result in ruptured blood vessels or worse! 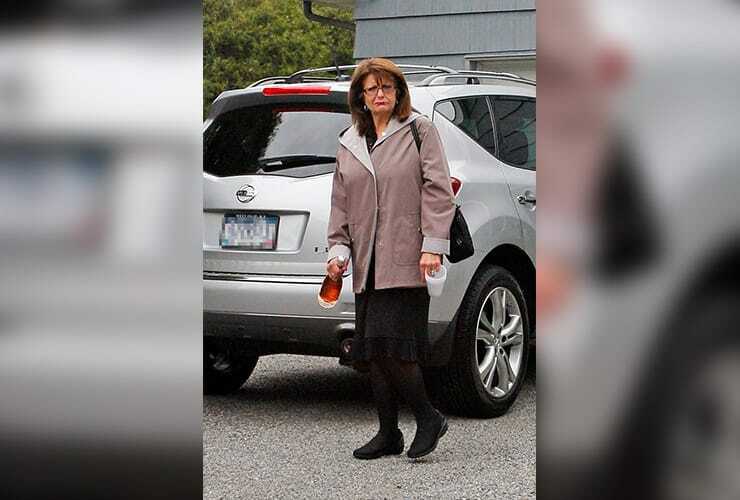 However, it does not seem that Jackie nor the Atlantic Automotive Group particularly cared about Debbie and her well being, as they forced her to carry heavy objects anyway. Sadly, it seems as if the most dedicated of employees are the ones who get taken advantage of the most. After it all, Debbie was forced to consult a psychiatrist to ask what she should do. 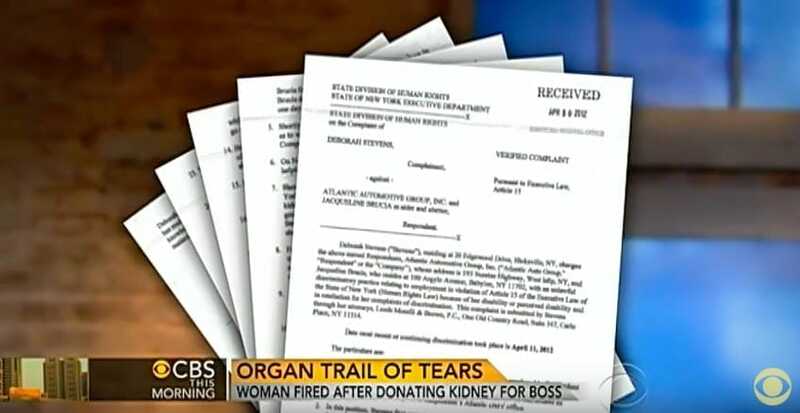 It was recommended that she contact her lawyer to ask them to send the multi-billion dollar business a letter expressing their concerns over the treatment of one of their employees. However, this somehow only made the whole situation worse. It was less than seven days after the company received Debbie’s letter that she was handed a letter of her own; Debbie had been fired. 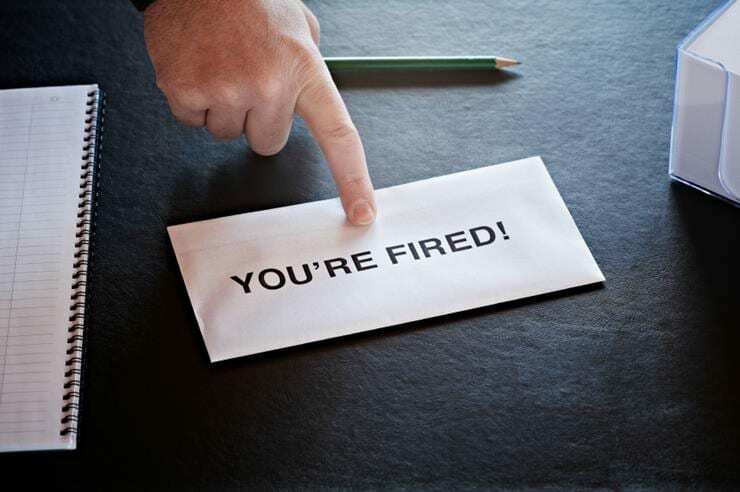 After literally giving so much of herself to her company and her boss, Debbie was simply shocked to find out that she was terminated from her position in the company. When asked why she was terminated, the company said that she was performing at a sub-par level and that she needed to be cut loose. It is interesting to note that Debbie was seemingly given no warnings about her performance, making the dismissal all the more suspicious. Losing her job didn’t only mean that Debbie lost her income, but it also saw her lose any privileges that came with the job including the company’s medical treatment coverage. Debbie was left in shock after she heard the news. Not only did she have to try now and find another way to earn money, but she couldn’t get a job due to her crippling health issues, and now her medical bills were piling up with no way to pay them. Debbie was left with no choice but to take her old company to court for everything they had done. Her lawyer spoke of how they wanted to get as much coverage as possible about everything that had been going on to publicize the case. The case they were putting together included the discrimination Debbie had gone through over her disability in addition to the way the company reacted when Debbie tried to put an end to the harassment. Jackie was one of the first to deny anything that Debbie accused the company of. In an official statement, the Atlantic group spoke of how they were saddened by everything that was going on, and not because they believed Debbie. Oh no, they pointed the finger of blame right back at her when they said that Debbie was using her surgery as an excuse to sue the business. They assured the public that they had all done everything in their power to treat Debbie as fairly as possible. 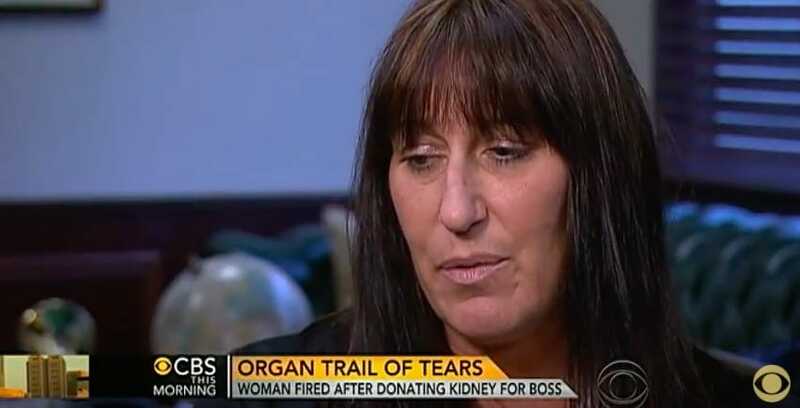 Following legal action, the New York State Division on Human Rights has ruled that Debbie was indeed unjustly fired by the Atlantic Motor Group following her kidney donation. 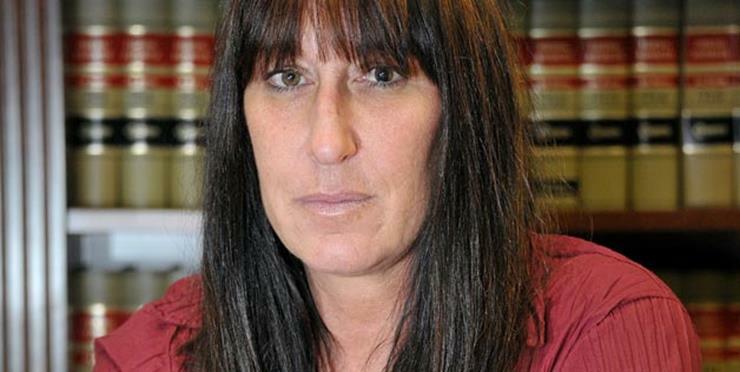 The Division on Human Rights further said that there was probable cause that Debbie had been fired due to discrimination. 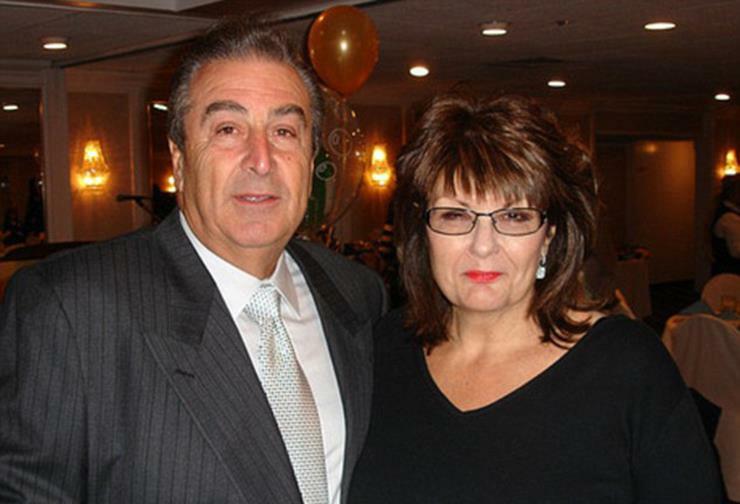 Debbie is now seeking $15 million in damages from both the Atlantic Motor Group as well as from Jackie. Was it all just a plot? 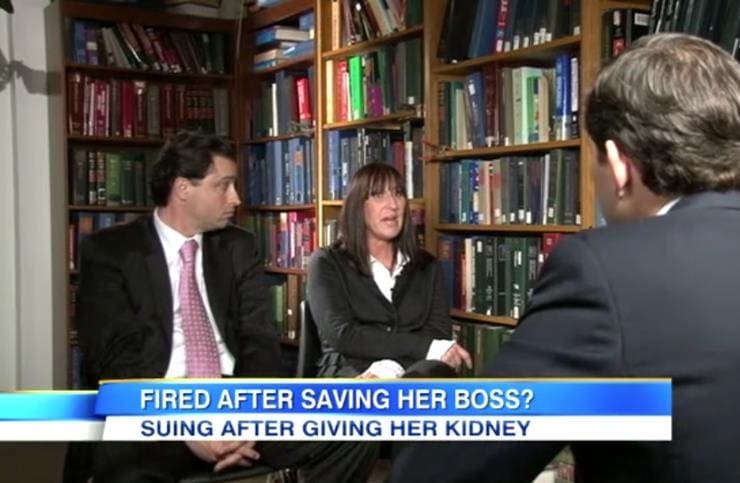 Speaking at her lawyers’ office in Long Island, Debbie says that she is concerned that the pleasantness that she experienced from her boss and the management may have just been a sick ploy to get her to agree to give up her kidney to her boss. 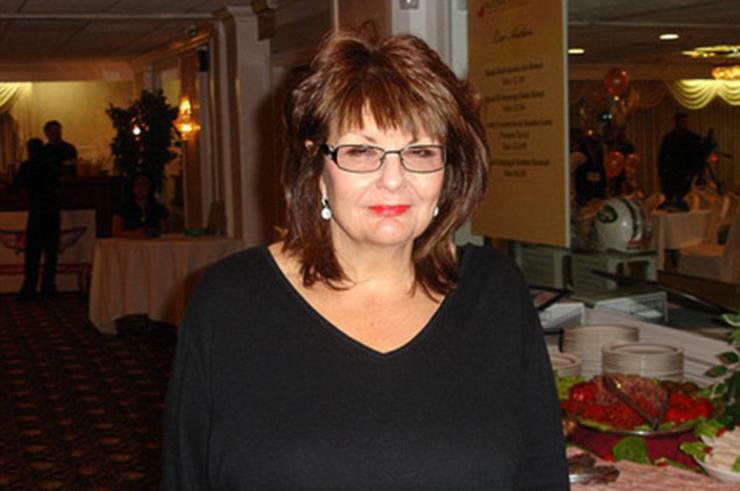 She says that after reading over her statements and looking at the timeline of events, the whole thing does in fact appear to have been a plot by Jackie to get Debbie’s kidney. The New York Post was one of the first newspapers which reported on the Debbie and Jackie saga, and they have continued to follow up on the story. 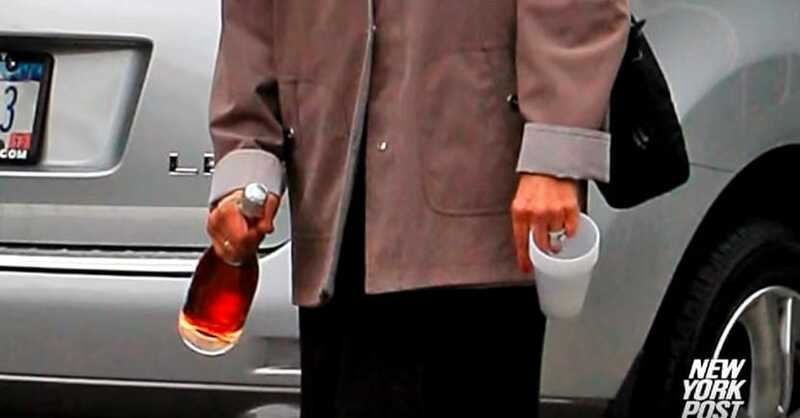 However, newspaper’s cameramen and reporters were shocked to see Jackie walking into her house with what appeared to be a bottle of champagne not long after the transplant surgery. It is known that kidneys fail due to substance abuse. 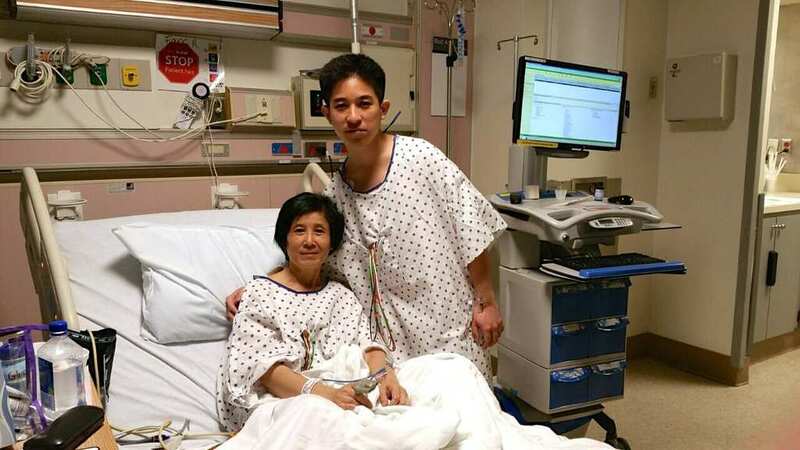 Did Jackie con Debbie into giving her a kidney so she could keep up with her addiction? 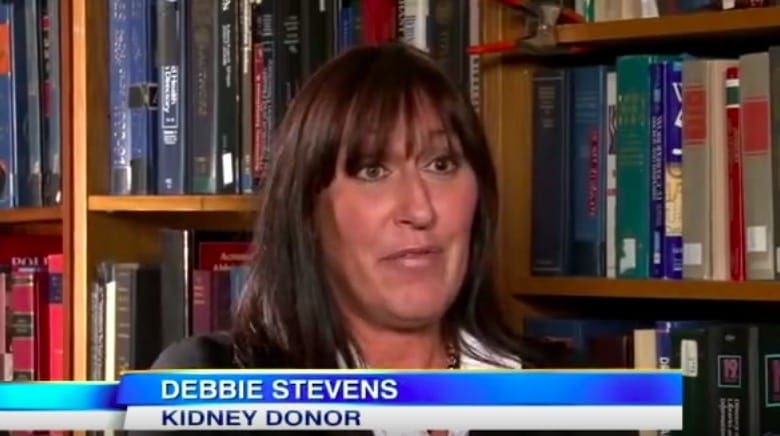 When asked to make a statement by the local news regarding Debbie’s dismissal after giving her a kidney, Jackie had the following to say; “I will always be very grateful that she gave me a kidney. I have nothing bad to say about her. She did a wonderful thing for me, and I wish her the best.” If this is the case, then why couldn’t Jackie say that to Debbie’s face? And why did she berate Debbie so much beforehand? 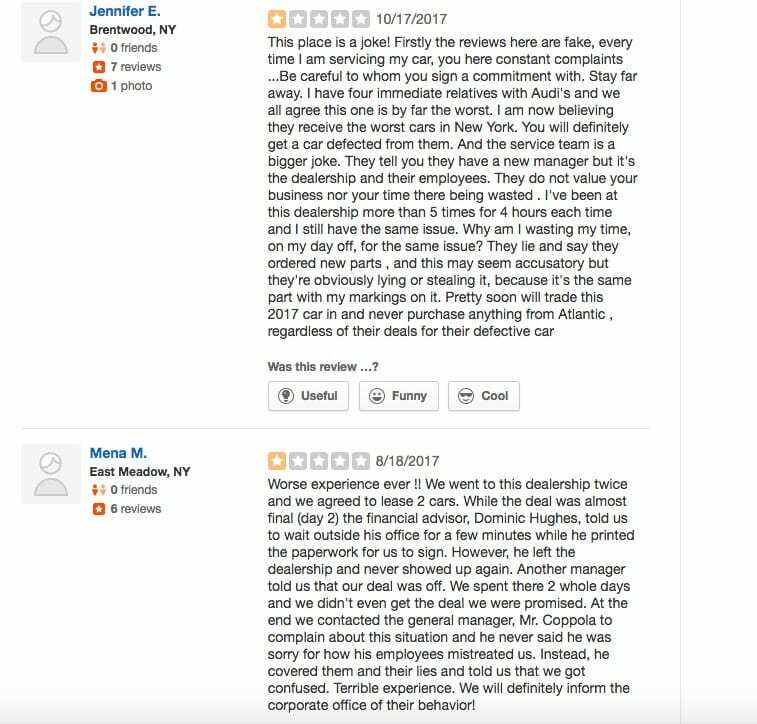 As the people who reported on this story for the local Long Island CBS affiliate say, should all of the facts in the story ring true, and should no new information be revealed, then Jackie may be deemed one of the worst bosses ever. 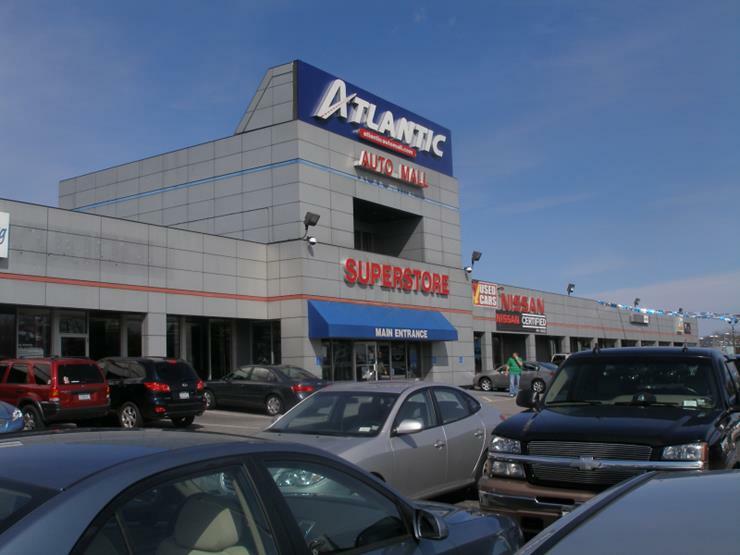 Many people complained about the aggressive sales tactics employed by the Atlantic Auto Group, and many more said that they felt they were getting yelled at when deciding not to purchase a vehicle. Many more have reported that sales people will straight up lie to customers to sell cars, saying certain perks are included when they are not. 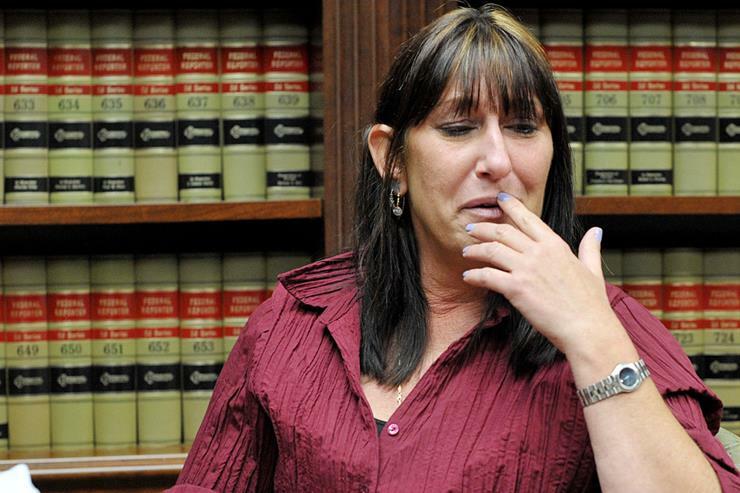 Many others used Debbie’s story as a reason to not shop at the automotive group’s stores. 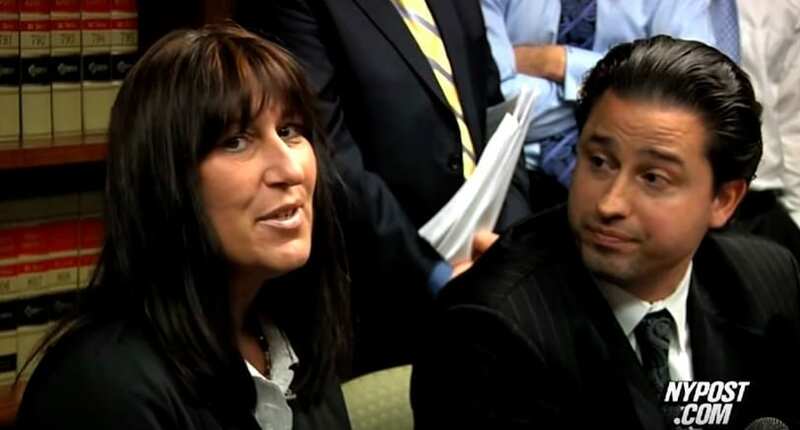 When Debbie was asked how she felt about the entire ordeal, how she felt that her boss essentially turned her back on her after Debbie gave a literal piece of herself to her superior, one of the things Debbie felt was shame. 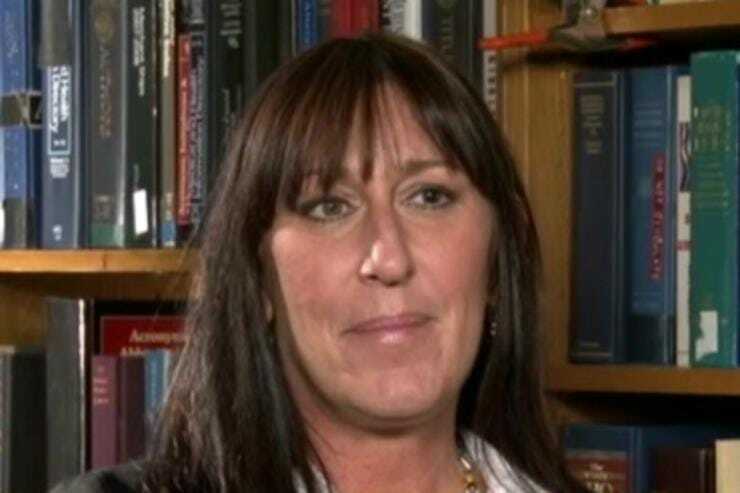 When pressed further on the issue, she says that she is not quite sure why she feels shame, especially because of the fact that she did such a selfless act. In our opinion, it should be the boss who feels shame. Amazingly, Debbie has proved just how kind she is with her response to the whole situation. 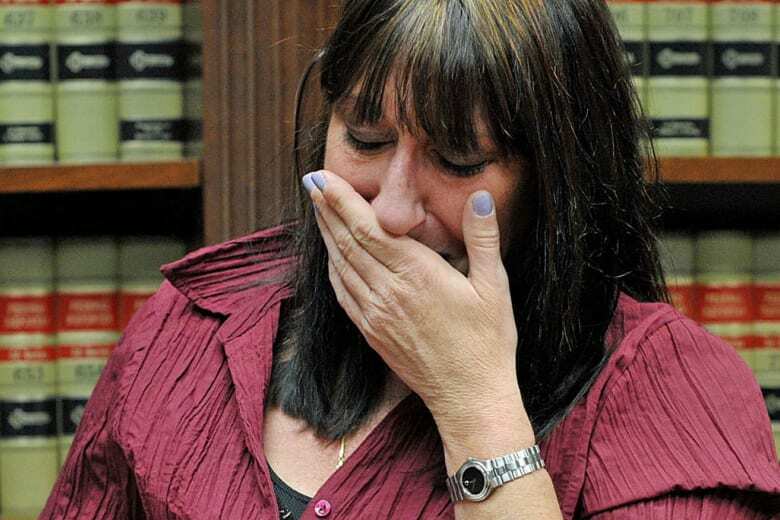 She says there are no regrets when it comes to what has happened; Debbie would donate her kidney all over again because she was able to help out a stranger in desperate need. Perhaps Debbie not being a match for Jackie was the best thing to come from all this; otherwise, Debbie would’ve given her organ to a woman that made her life a living nightmare. People may be asking themselves whether or not Debbie is the one who is looking for favors, as it has been alleged by the company. 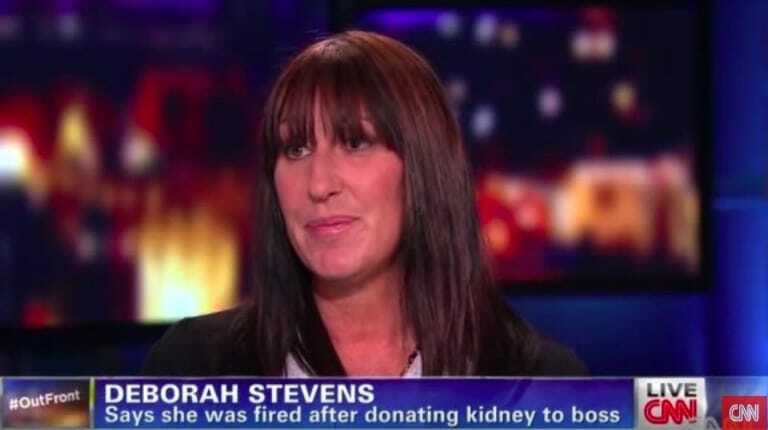 However, Debbie has consistently said that she has never asked nor expected anything in return for her kidney donation. But while she may not have received anything from her employer, she can rest well knowing that her donation enabled 14 other people to get transplants, thus saving their lives. 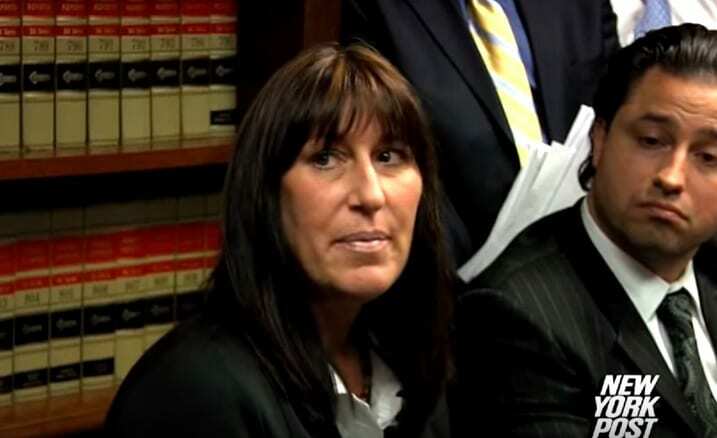 In the end, Debbie Stevens, the Atlantic Automotive Group, and Jackie Brucia decided to settle the matter out of court. This is a very common occurrence, as having a ruling against the company would have destroyed the company’s (and Jackie’s) already tarnished image. 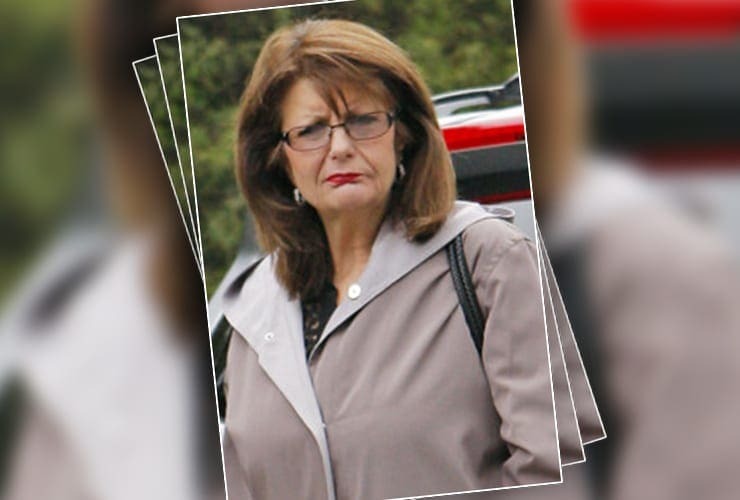 It is unclear how much the company and Bucia settled with Debbie for, but we are sure that it was enough, as the lawsuit was dismissed by the court in 2014. 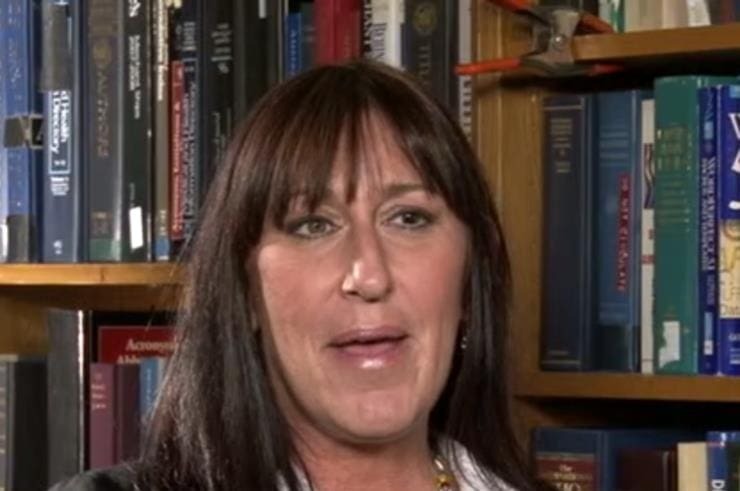 Further elaborating on her thoughts about the entire ordeal, Debbie says that she feels as if she has been slighted and that the gift of a literal piece of her body has been kicked around. 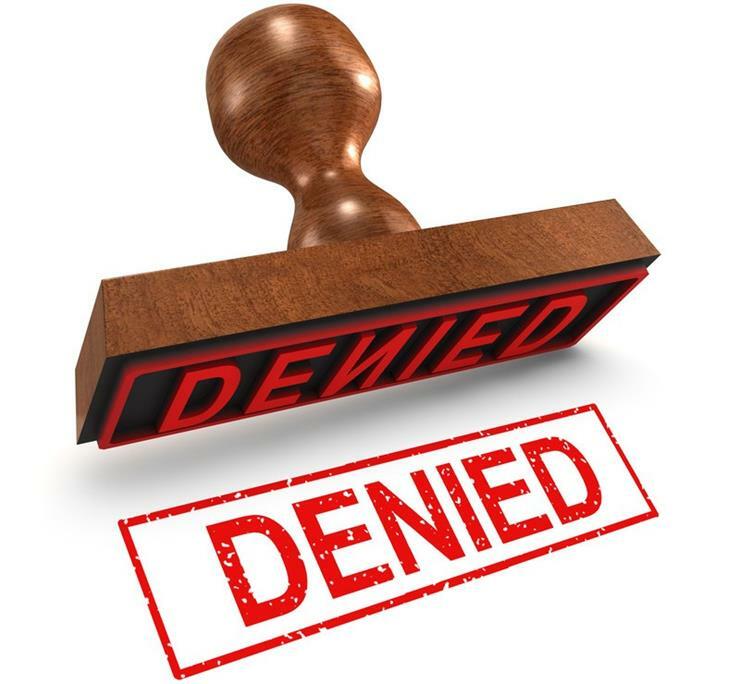 One of the primary issues which people do not think about when becoming living organ donors is the fact that they may have a hard time getting health insurance. When you are missing an organ, or if you have an elective surgery whereby you willingly give one away, your risk of disease or infection or other bodily function problems increases dramatically. 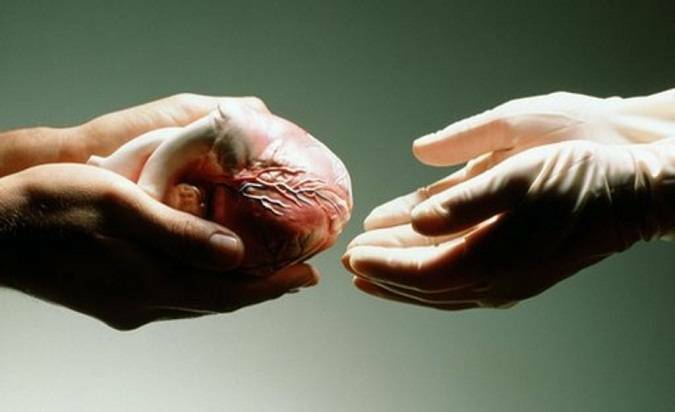 So, when debating whether or not to donate an organ, take into consideration that you may lose your health insurance.